Imprint on the front face is small text and reads "WM DARGAVEL AYR". Based on the dating evidence from the rear imprint (see below), John Muir (Georgina's father) would be approximately seventy six years old in the photograph. 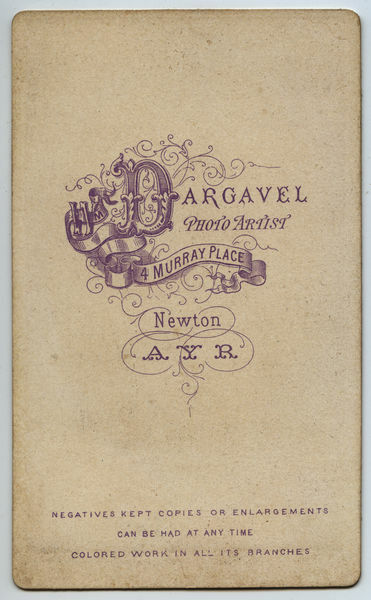 See William Dargavel, Newton, Ayr [Photographer] for more information on William Dargavel and his photographic studio in Newton, Ayr. 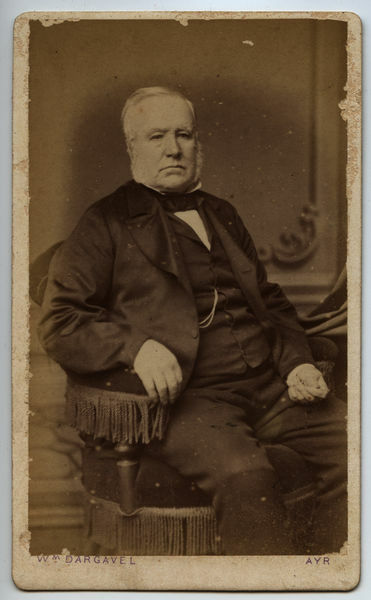 As discussed in that post, the documentary evidence based solely on the information provided on the back imprint dates the photo to 1876 ±2 years.